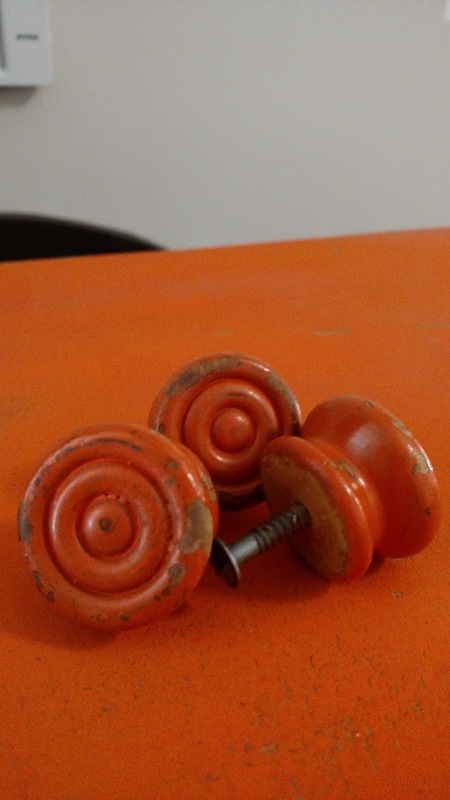 I hope like heck that you haven't been waiting with bated breath for a new post from me. Because if you were, you're probably in the hospital, or worse, right now. I've been sort of preoccupied with some stuff going on - which I will post about very soon. I had to stop this very exciting life I have and share my latest furniture transformation with you. The contest sponsor is Saltwash. Have you heard about Saltwash? 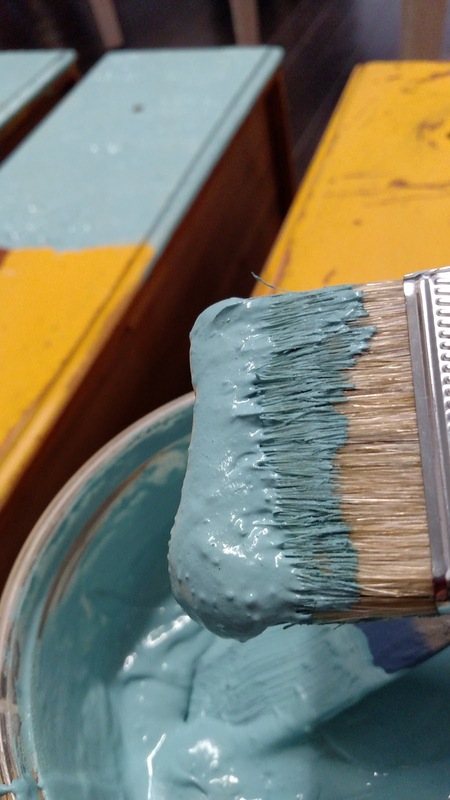 Saltwash is an easy to use base coat formula to give a layered and textured effect when mixed with any brand or type of paint. You will want to take a look at this video to see how fast and easy it is to completely transform practically anything into layered, textured, beachy goodness. I particularly like it that with Saltwash it REALLY doesn't matter how gross the piece is that you're starting with. On the side of the road free. The only redeeming factor was the knobs. Someday I'm going to do something with these knobs. But I did use the dresser. 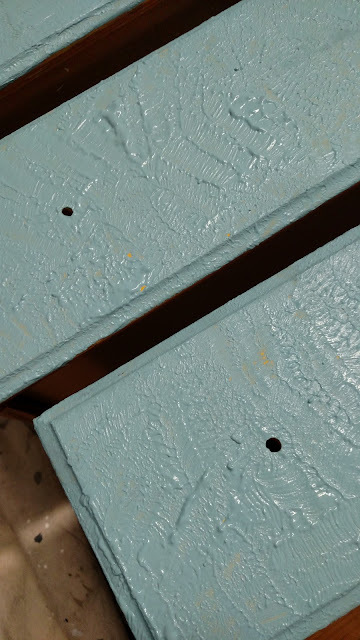 I mixed up some Annie Sloan Chalk Paint in Provence with the Saltwash powder and blobbed it on just like the instructions said. Note: I found out that I liked the look better if I stippled the paint (just punching the paint on to the surface rather than raising it with the side of the brush like this picture shows. I didn't like the way the longer strips of bumpy paint sanded. 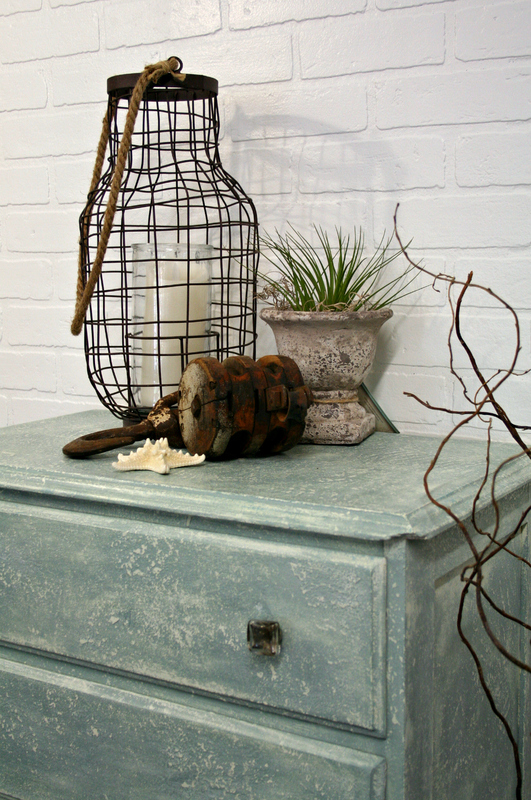 When this coat was dry I covered it with a layer of Annie Sloan Chalk Paint in Old White. Then I sanded with my random orbit sander and started sanding. So I sanded pretty heavily to remove a lot of the texture from the Saltwash mix and started again. This time I did the first coat as the lighter color. I used some leftover Plaster Paint in Ivory Lace - which by the way I'd never used before. I was just looking for something "white" to use and a friend had it to give me so I took it. It worked fine with the Saltwash mix. I didn't bother to completely cover the already painted surface. I also used strictly a stippling stroke with the brush. No side of brush strokes. 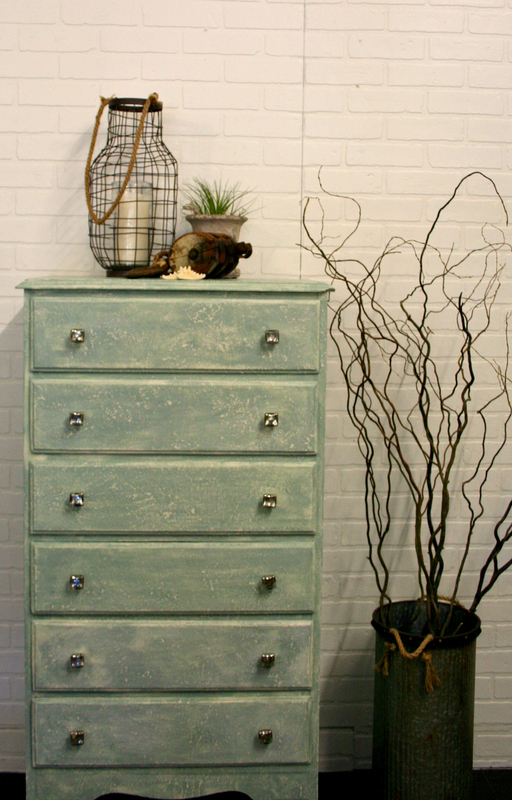 The second coat was Annie Sloan Chalk Paint in Duck Egg. When everything was dry I sanded. By hand. With 80 grit paper. I started out just gently sanding and then pressed harder in some spots where I wanted more white to show through. Then I waxed the whole thing with a combo of clear wax and liming wax. This softened the contrast a little and I liked that. I bought the knobs at Hobby Lobby. A little bonus for the chippy, casual look is that I didn't feel compelled to replace the area where the underside of the corner was chipped off. It just matched. Chippy paint, chippy corner. If the original finish had been wood (and not bright orange and yellow) I would have probably sanded to the wood in several places. Wood certainly fits with this look. But not bright orange or yellow. The finish ends up being textured but smooth to the touch. I have a lot left so I will certainly be experimenting with it more in the future. Thanks to Saltwash for providing the Saltwash I needed for this project. 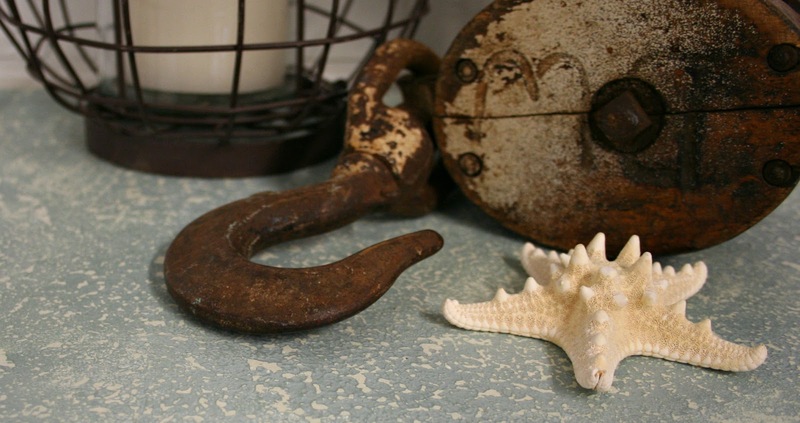 Someone will win this contest and they will receive a prize package from Saltwash and Saltwater Salvage Design. Thanks to the stellar women that coordinate this whole Fab Furniture Flippin' thing. 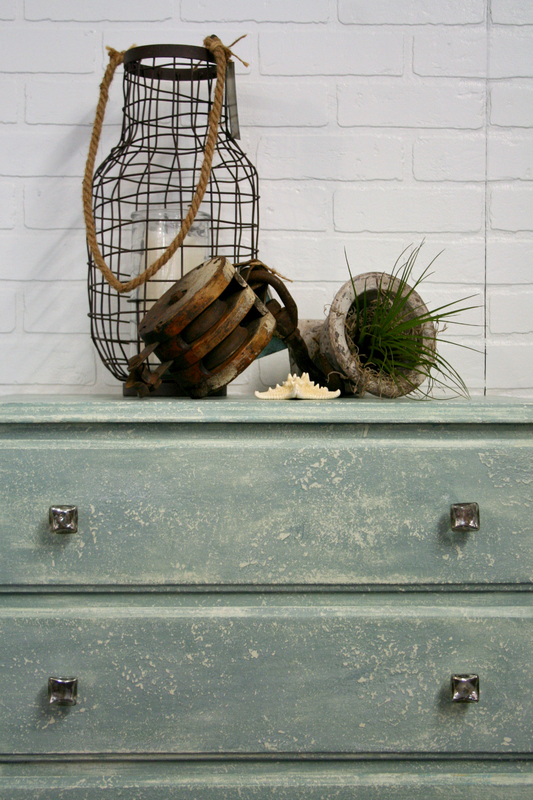 Click on one of their blogs to see all the Coastal Inspirations that were created this month! 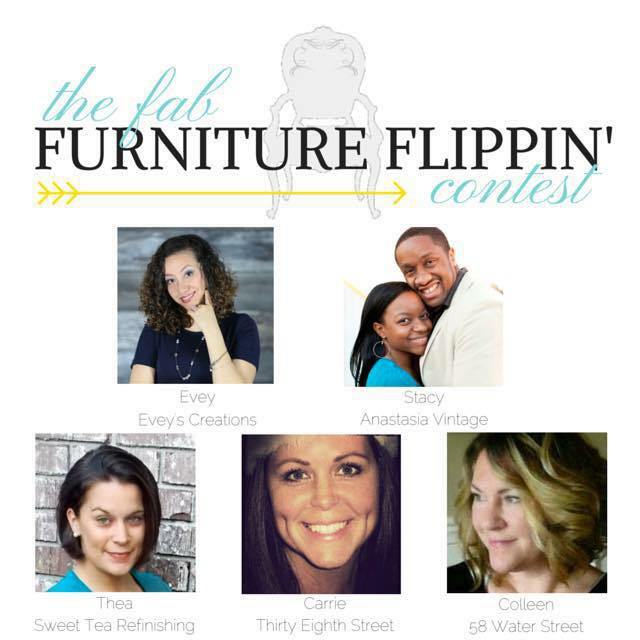 The Fab Furniture Flippin' Contest is open only to the entrants who have signed up through the group Facebook page. If you are an active, furniture flippin' blogger, and you'd like to participate in future contests, you are welcome to join in! Just reach out to the hosts info@fabfurnitureflippincontest.com to find out how. What a fabulous transformation! Love the colors that you chose...looks great. 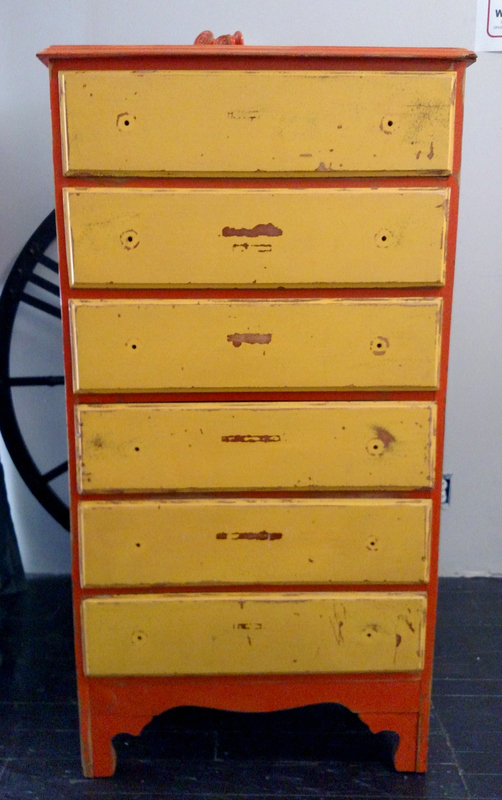 No one would believe this dresser was a curbside find. It came out just wonderful. And it is a fun look also. I love the colours you used it turned out so beautiful! I live in Alberta Canada can you please tell me where I can purchase Salt wash? I have been waiting, but I'm not in the hospital. So is it a mirage or does it have a sponge painted look? Love this product and the fact that it hides a multitude of furniture mishaps! Plus its so fun to work with. Great color choice, wonderful job! I keep seeing the Saltwash pic on Instagram, but don't know much about it. Your cabinet turned out wonderful so I might have to look for some and give it a try. Your free dresser is a beauty now! Great job!